The Lake Erie Waterkeeper association epitomizes the best in American democracy. Since the days of James Madison we have believed that interest groups are the fabric of our government. They are essential to civil society. Environmentalists, in particular, see citizen groups as protecting our water and air. But what do they look like in detail? Environmental interest groups can be as big as the Sierra Club, with 1.3 million members, or as small as a few neighbors picketing to block a dump site. The Lake Erie Waterkeepers have a few hundred members who pay dues of $25 a year. That puts it on the small side. It is loosely affiliated with similar “keepers” across the country and abroad. The first was the Hudson River keeper dating to 1966. The impetus for organizing was a Corps of Engineers proposal to dump dredge material into a “confined disposal facility,” essentially an unnatural artificial island. The Corps wanted to expand its size, taking up more of the lake. The citizens were able to prevent its expansion but the Corps raised the height by 15 feet. 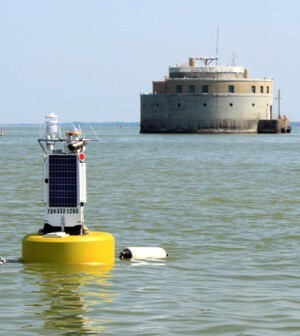 Lake Erie is vulnerable because its western basin is shallow and warm. On the other hand, this is an advantage because it supports many fish, making it popular with commercial and sport fishermen. Boating is widespread, with numerous yacht clubs and cottages. Its wetlands are home to birds and in the spring others pause on their migration to Canada. The Lake had a bad time in the 1960s with big algae blooms turning the water green. In 1969, the Cuyahoga River in Cleveland caught fire. The Clean Water Act of 1972 reversed the damage and the lake cleared up. A few years ago, in 2012, the Waterkeepers became concerned about the number of fish killed by the routine operation of the Toledo Edison coal fired generating plant. Cooling water sucked in from the lake was killing millions of fry. Thousands of fishermen and hundreds of charter boat captains were upset. In 2014, a renewed threat appeared. The algae blooms were back. The cause was excessive phosphorus from farm fertilizer and manure from feedlots. The Waterkeepers were alerted to the problem, but faced opposition from farmers. The Clean Water Act gives special privileges to non-point pollution. Moreover, enforcement was transferred from the Ohio EPA to the pro-farm state Department of Agriculture. The crisis occurred Aug. 2, 2015, when an unlucky combination of wind and waves blew the algae to the City of Toledo’s intake for the drinking water. The algae were producing microcystin, a poisonous toxin. Technicians at the water plant detected the danger immediately, but did not have a remedy. Indeed, the problem was so unusual there were no EPA safety standards. Drinking water was not available for two days for 500,000 people. Good leadership is crucial. From the beginning this has come from Sandy Bihn, who lives on the shore of Maumee Bay. For nearly 20 years, she has recruited members, organized meetings, lobbied state agencies in Columbus and faced down electric utilities and farmers. She has her own boat to zip around the lake. The board of trustees includes environmentalists, commercial and sport fishermen, businessmen and scientists. Every March, Bihn sponsors a conference for a hundred citizens, scientists, fishermen, boaters and farmers to consider the recent problems. Author: Davis teaches environmental policy at the University of Toledo and is a member of the Lake Erie Waterkeepers. Email him at [email protected].